One thing we learned is that there is no such thing as useless as a list to planning a trip to Venice. 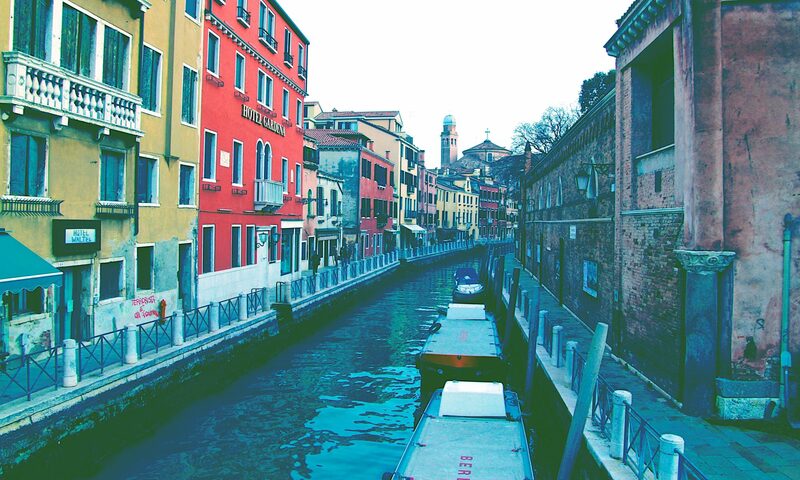 In Venice, unlike any other city, it’s important to get lost. And the best way to get lost is to forget the map and walk in whatever direction looks appealing. To find our way, we just looked up at the directional signs pointing toward the Piazza di San Marco or the Rialto nearby. We gave ourselves one day to visit Saint Mark’s Basilica, Doge’s palace and Santa Maria Della Salute. The following days of our journey were not driven by any obligations, schedule, nor appointments. Walking away from crowds and stopping to eat when the mood strikes lead us to good and non-tourist areas and restaurants of the city : Al Timon, All’arco, Paradisio perduto, Rosa Salva, among others. Wandering at will and exploring whatever’s in front of us lead us to pleasant surprises. We bought tickets for La Traviata’s last representation at Teatro La Fenice the very same day. For only 25 euros we could see a performance of the wonderful opera by Giuseppe Verdi with « the gods », the cheaper seats. Finally, if we had one advice to give it would be to get up early and get lost! Just remember not to overplan so you can have some spontaneous activities too. Serendipity (and Venice by Venetians advices) has been a central part of our quest to « enjoy every sense of the city » and discover the real Venice. Next PostNext REDENTORE 2017 What an experience! !